We usually send out newsletters monthly, but they may be more or less frequent depending on the charity's activities. 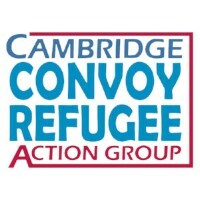 Cambridge Convoy Refugee Action Group will use the information you provide on this form to contact you about the charity's work and events, and provide other information on the global refugee crisis. We will not use it for any other purpose, and will not share it with any other organisation. PLEASE CLICK THE CHECK BOX BELOW IF YOU AGREE TO THESE TERMS. You can change your mind at any time by clicking the unsubscribe link in the footer of any email you receive from us, or by contacting us at contact@camcrag.org.uk. Your data will then be permanently removed from our mailing list within 30 days. We will always treat your information securely and with respect. By clicking below, you agree that we may process and store your information in accordance with these terms.